Most Trident collectors will be familiar with the cancellation of ENAKIEVO EKAT on covers or, more often, small pieces with Trident overprinted stamps - normally those of Katerynoslav but sometimes from other Districts. 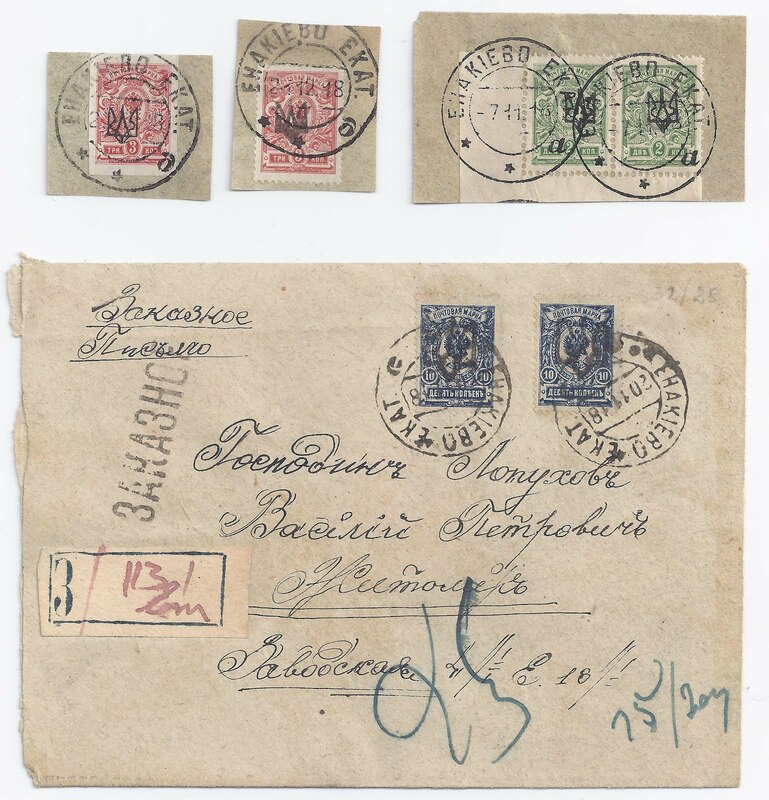 At the end of 1918, the Enakievo post office was quite a Philatelic Bureau. 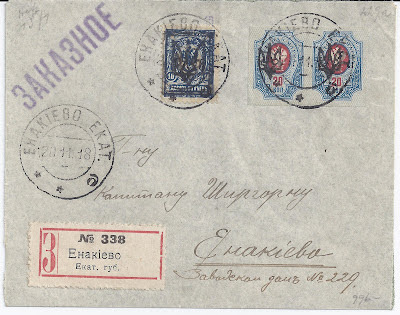 At the top, I show three fragments with two different Enakievo cancellations. I was amused when I came across the cover also shown above. Here the stamps (Podillia Ia) appear to be genuine, but the cancellation is a forgery. So is the improvised Registration label and the "ZAKAZNOE" cachet. On the reverse is a ZHITOMIR receiver cancellation which is in the same shaky style and in the same watery ink. No need to Beware! surely? Nonetheless, at some point an optimistic dealer pencilled $70 on the back. RSFSR 1919: Why Is This an Unusual Cover? Don't Do It, Dr Seichter!